A speed light (I think a YN 560II) and an old 43" shoot thru Photoflex umbrella for main. Ambient daylight for fill. Santa under a canopy in the street, my white vinyl background behind and I get to kneel in the street. Last edited by Brooke Meyer; 12-11-2017 at 01:02 AM. Sterling work! It is good to be reminded that great results may still be had with relatively simple setups. 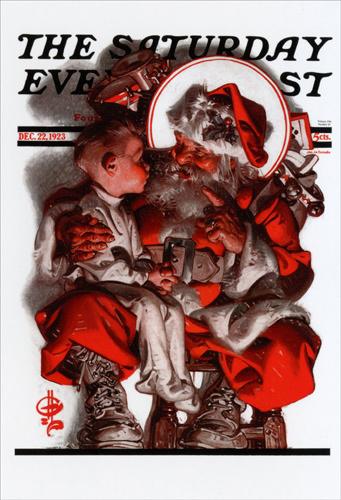 Norman Rockwell anyone? Very nice indeed. As previously suggested, very Norman Rockwell- like. Excellent shot! Made me smile.. Lovely image.